The government has set a target to bring 90 percent public services under online coverage alongside ensuring internet service to cent percent population of the country by 2021, aiming to check hassles, corruption and irregularities in various sectors. It also has a plan to equip 20 lakh youths with ICT knowledge to cut poverty and unemployment and expand the country’s export earnings to $5 billion from the IT sector during the period. 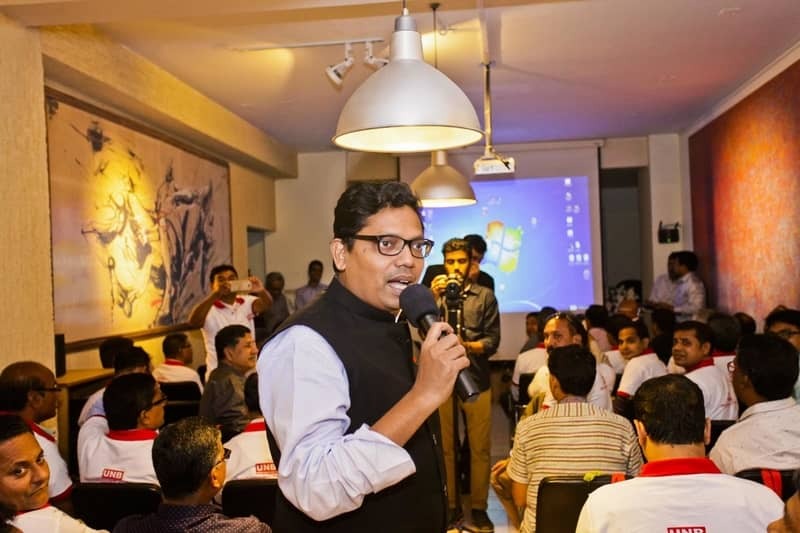 State Minister for ICT Zunaid Ahmed Palak unveiled the government’s plan at the inaugural session of the annual district correspondents’ conference of United News of Bangladesh (UNB) at its Cosmos Centre conference room in the city on Thursday. He made a presentation titled ‘Digital Bangladesh: A Story of Transformation’ at the programme outlining government’s different plans for the promotion of IT sector and its successes. “We’ve a specific target to bring 90 percent government services under online coverage by 2021. Only 0.04 percent public services were under online coverage nearly eight-and-a-half years back. We’ve so far brought 40 percent of those services under electronic system,” Palak said. He said they are also working to create jobs for 20 lakh youths in the IT sector, also by the 2021, through providing them with IT education, training and other facilities. “We’ve already created jobs for 7 lakh youths. We’ve initiated a ‘Learning and Earning Online Outsourcing Training for 50,000 average students. Around 13,000 students have received the training and they’re now earning huge foreign currency through outsourcing. We’ve also taken a project for proving 35,000 IT graduates with top-up training to make them ready for the IT sector,” the state minister said. Palak said they have set up an ‘Innovation Design and Entrepreneurship Academy’ with a target to develop 1,000 innovative IT products by 2021. The way IT sector is expanding and IT experts are being developed here, the state minister said, there will be no unemployed youth in the country by 2021. The state minister said many Bangladeshi IT companies are working very well getting involved with different courtiers and international companies for giving IT services. The state minister urged UNB reporters and district correspondents to make stories on people’s successes as a success story can motivate and influence thousands of youths. He also said the ICT division can help UNB develop any mobile application and enrich its websites.